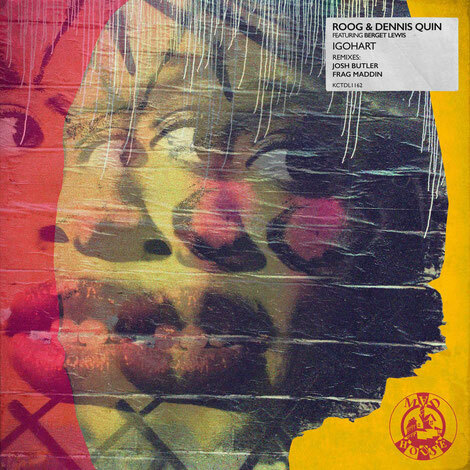 Madhouse Records kick starts 2016 with a new single from Roog & Dennis Quin featuring Berget Lewis, entitled ‘Igohart’ and accompanied by Josh Butler and Frag Maddin. Dutch duo Roog & Dennis Quin have been steadily carving out a name for themselves over the past few years via labels like Defected, Toolroom, Simma Black and Get Twisted Records. Here we see the pair opening 2017 with this fresh new collaboration. The original mix opens the package and sees Roog & Quin employ thunderous subs and crunchy 909 rhythms alongside classic house stabs sequences and Berget Lewis’ soul drenched vocal stylings to create something that’s reflective of the Madhouse sound. Josh Butler then steps up to remix ‘Igohart’ next, delivering a more contemporary feel to things via a robust square bass lead, dubbed out stab hits and low-slung drums whilst extracting snippets of the original vocal and reworking them with a looped and filtered, hooky approach. Germany’s Frag Maddin then closes out the single with a deeper interpretation laying focus on emotive strings, piano chord shots, encapsulating low-end tones and stripped back percussion.